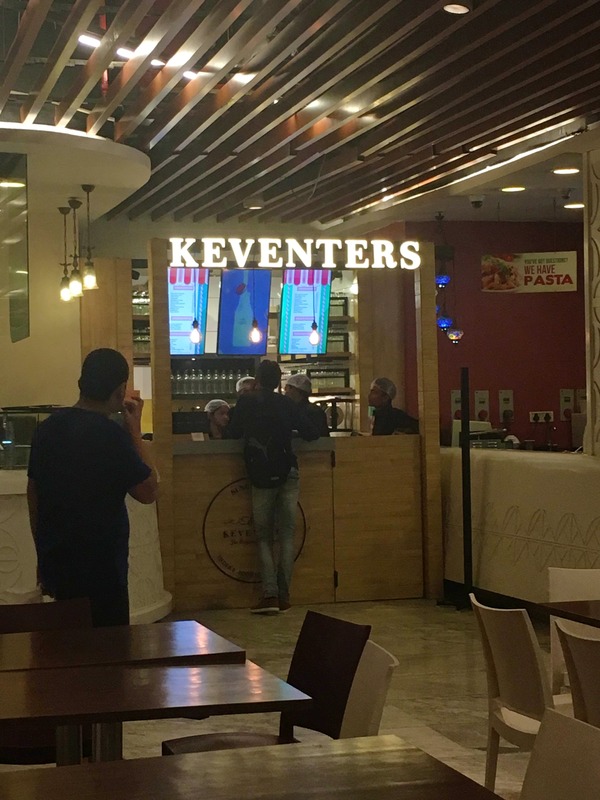 Keventers has become super popular since it opened in the city of joy - it now has more than five outlets and the newest one is in the Quest Mall food court. Moreover, there are now two outlets in Quest, one on the B2 level and one in the food court. It's tucked right at the back of the food court near the Lebanese restaurant so it's not visible right away, make sure to look for it. The bigger size bottles cost marginally more and give you a lot more bang for your buck - if you're going to take in the calories, may as well take it all the way! The thick shakes are simply sinfully good - the chocolate Oreo, Caramello and KitKat especially.